PUBLIUS. Mr. President, the junior Senator from Florida, Mr. Rubio, and the Senator from New Jersey, Mr. Menendez, recently offered Senate Amendment 61 to S. 233, the Federal Aviation Administration Authorization Act. The effect of the amendment if adopted by the Senate would block the implementation of President Obama’s recent travel announcements to Cuba. Under the veil of blocking “expansions of flights to locations in countries that are state sponsors of terrorism", the Senators seek to stop the progress that has been made and continues by virtue of the fact that more Americans are now allowed to travel to Cuba. This is something urgently needed if we are ever going to become a positive influence on our island neighbor to the south. It is interesting to note that these two Senate sponsors have never traveled to Cuba. There are actually members of the Senate who know more about Cuba than these two sponsors claim to know! Last year 400,000 Americans traveled to Cuba legally. What the people need is a member of the Senate to introduce a substitute amendment requiring Senators who introduce such amendments like the Rubio Menendez Amendment to be required to personally visit the named countries first on the “terror list” before introducing them. This list is more a political tool than a reflection of reality. Most Senators who have been to Cuba know that despite the objectionable political system and the repression that exists there, Cuba does not export terror and Americans who visit there are generally safe and free from kidnapping, murder, or attacks on their persons that frequently occur now in Mexico and the Middle East. And if Cuba does as the designation alleges, then make the case in public now and present the evidence and hold every other nation to the same standard as Cuba and put those nations on the list and block travel to those countries too. Every Senator that has been to Cuba knows that the embargo and the travel restrictions have done nothing to bring democracy and change to Cuba. More than two thirds of the current population of Cuba know only two things their entire lives, the U.S. embargo and a Castro running the government of Cuba. It behooves the Senate to remove the one condition it actually has the power to do, lift the travel restrictions and end the embargo. Then let the Cuban people on the island decide who should run their country. 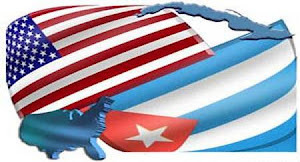 Let America become a positive influence upon the Cuban people instead of an instigator. Democracy is influenced by others, not imposed. The Senator claims he cares about the plight of Alan Gross, an American USAID contractor imprisoned in Cuba who now awaits trial for violating Cuban laws. While everyone hopes that Cuba will free Alan Gross, it is incumbent upon the Congress to act to insure that no one else gets tangled in the sordid web that is the so-called Cuba “democracy” programs. These programs do not bring democracy to Cuba and in the spirit of cutting the budget should all be reviewed and eliminated. Furthermore at a minimum, full disclosure is needed in these programs to protect parties who potentially risk imprisonment abroad for their activities related to the use and expenditure of those funds. Finally, one other question deserves an answer from the Senator from Florida. Why would the Senator, a conservative Republican, seek to block an initiative that will create hundreds of new jobs and millions in commerce for his state and stimulate market forces? Does the Senator only wish to serve one term representing Florida in the Senate? Just who is the Senator representing? Certainly not the people of his state. The Senate need not be the refuge of hypocrisy nor its members be its promoter.